With a few dozen studios right outside their door and an enviable roster of global industry partners, Vancouver Film School has developed a solid reputation as a results-driven school with an industry pipeline where students learn the craft of animation. Boasting three distinctive programs that appeal to aspiring animators- 3D Animation & Visual Effects, Classical Animation, and the new Animation + Concept Art program- students migrate to British Columbia’s gleaming city on the water from around the world to fast-track their careers. Some may be lured by the mere 12-month curriculum that has turned out an incredible list of acclaimed alumni (like Academy Award winning Lord of the Rings animator Chad Moffitt), but make no mistake about it: each of VFS’s programs are as rigorous as is possible to complete within a year. Students gain 1,200 hours of class time which includes more production hours than typical 4 year programs. The culmination of their rapid-fire education ends in industry showcases like Fresh Meet where twenty or so studios view the work of 3D Animation & Visual Effects graduates. Three years ago, we spoke with the former head of VFS’s animation program. Today, we’re thrilled to catch up on the latest happenings with new Head of Animation & Visual Effects Vanessa Jacobsen. We ask her about the latest Animation & Concept Art program, the industry mentorship program that VFS has cultivated, and what makes for the best students. We hope you enjoy! (This interview was done via phone & has been edited minimally for length & clarity). ACR: Vanessa, firstly congratulations on taking over as Head of Animation & Visual Effects at VFS. It’s been such a successful program. What do you hope to achieve in the near term? Vanessa Jacobsen: I don’t think we want to keep the status quo. We’re heading in a slightly different direction especially in our 3D program. All students have the fundamentals and then choose one of three streams in Term 3. We’re looking at that model- which has been very successful- and seeing if we can change it. Our idea is to integrate more group projects which mimic industry. Also, we are assessing how we utilize our instructors. They have so many skillsets that can be useful along the pipeline when students need different things in different spots. ACR: There has been one significant change since last we spoke: you now offer a new program in Animation Concept Art (ACA). Tell us about it. VJ: This is huge for us and we took a few years to research it properly, talk with industry and understand their needs. The ACA program is the brainchild of our own Casey Kwan and Colin Giles (creative directors at VFS). It wasn’t necessarily about what was missing, but instead it was about what we could add. In our Classical Animation program, it’s about the message of a film; in the ACA program, the student loves to draw just as in Classical but they would rather explore their ideas. And it’s Cintiq-based. The ACA program reflects 4 pillars- research, critical thinking, craft and story. Research is fundamental to everything we do… the more you can search and reference, the more you can mull over your original work. Critical thinking is about problem solving and how things work or don’t work and it gets the brain going. Craft and skills are imperative, obviously. And finally, story is huge… the more you understand why you’re telling the story- whether it’s a film or a portfolio- the better it is. ACR: How do you integrate those 4 pillars into the ACA’s curriculum? VJ: Students create a portfolio of work based on their art and ideas. They get those ideas out of their heads and on to paper throughout all four terms. Term 1 is vehicles and prop and the courses are based around that theme. All of their media studies and hours watching things will relate back to it. They’re in groups of about four, so they will take a vehicle from any game they wish and recreate their own versions. They each do their own version of it but they have each other to feed off of. In Term 2, they turn to environment; Term 3 is characters, and finally Term 4 is creating their packages. ACR: Your students leverage an enviable list of faculty as well as mentors, don’t they? VJ: They do! If you added all of the years’ experience of our instructors it’s impressive. Our full time instructors come and go from industry so that they’re current. Students have access to them every day. We’ve also created an enhanced mentorship program in the last few years which we focus on in the 3D program. Currently, we have 15 industry mentors from ILM, Sony and elsewhere who work with our students every week. Each student in Term 4 is assigned their own mentor. The more we connect our students with the right industry mentors for their needs, the more successful it becomes. The next phase is to advance into a career prep path and find them mentors in studios where they want to be working. ACR: Given the pace of the program & rigorous curriculum, what skillsets or personal attributes make for the most successful students? VJ: You can learn buttons anywhere so technical skills aren’t as high up as some may think. We like students with a background in the fundamentals; the arts and drawing and those who have ideas to explore. We can teach the buttons with the right student. We’re also looking for students who can collaborate and have the right attitude. We’re very much a team here. The people that do the best are the ones who work closely with their classmates and with everyone from the very first day. The more they work together, the better their work is going to be. ACR: When they graduate, they become a part of an alumni network that includes Academy Award winners and studio heads. 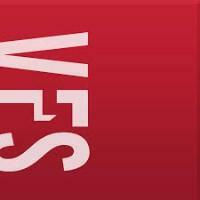 Do grads remain active in the VFS community? VJ: We have a great reputation and our alumni keep coming back as guest lecturers or to be part of our workshops. They want to give back to this community. The industry may be global, but it’s not that big… reputation is everything and we’re very proud of what our graduates do.